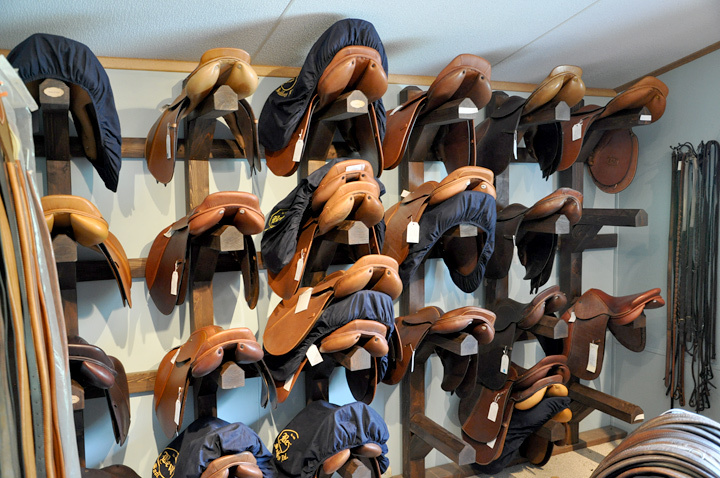 Enjoy custom fitting services and a great selection of new and pre-owned saddles from Beval and many other top saddle makers. You'll also find a great selection of bridles and fittings at the Shoppe, conveniently located at Ponca Hills Farm. Beval is the premier American made East Coast saddler to the sport horse community. Known for their balanced seat, beautiful styling and superior craftsmanship, a Beval saddle is an investment that makes every ride a pleasure for years to come. Hours by appointment. Please call us at 402-453-1234.